I woke up this morning, Monday December 5th to a weather report that is almost unbelievable in New England for this time of year. The opportunity that presents itself today is just to much to ignore. The weather is too ridiculous to ignore, the water is cold, but so what? The outside temp might reach 60, the water temp is still very cold. The last thing I want to do is end up in the drink! I grab the very stable Dirigo Old Town (named Cloud, of course) out of the garage and load it into the car and head down to one of my favorite paddling spots. At West Street in Medfield MA, there is an easy spot to put in. I don my PFD, bright red. See and be seen is the motto. ( Oh, just like real estate! ), get my gloves on and push out. That nagging little guy on my shoulder is saying, it's Monday! I ignore him and get into the rhythm. The water today proves to be a tough challenger. It is high, the current is strong and with the wind out of the west, I know, I will not only have to work pretty hard but, I will have to watch out for hunters! I head up river. The sky is gray and the foliage is all but gone. My brother in law would would ask what I find beautiful about it. It's not about that. Is about achieving a bit of Chi and Inner peace that only nature can bring. After about an hour of battling the current and the wind, I get into my mental state of letting it all go. It is then that I realize that this is not taking a day off!!! This is where I do my best thinking!! 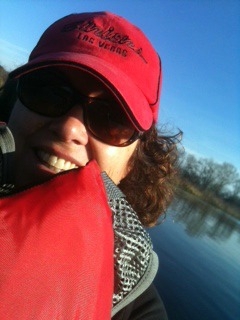 As I paddle hard, with no interruptions, I am formulating and finishing up my business plan in my mind for 2012! 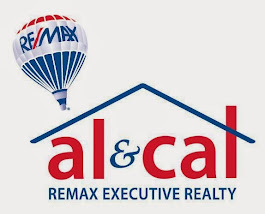 I am deciding new strategies for my current listings! Implementing these will make a big difference in my business for this year and next! I am on a roll, literally! Paddling hard through the twists and turns of the Charles River, I miss the wildlife that I usually find here. Most of the birds have flown south. I guess the Herons do too. I will have to look that up. No turtles jumping off their logs as I pass by, no fish jumping up to scare the hell out of me. No fox. No owls. No deer. Just me and my thoughts. Well I did see a hunter hidden in the brush. Thank God for orange. I splash hard so that he hears me. Yea, I am sure he loved that! So, What's this have to do with Real Estate, you might ask? Approximately 18 miles southwest of Boston, in the small town of Medfield on the Millis line you can achieve a bit of inner piece and harmony. For Free! The landscape of the Charles River is breathtaking. Even this time of year. I don't care what my brother in law says! This is a beautiful place to live! Plenty of things to do. If you crave art, we have galleries. If you love good food, we have excellent restaurants! If you want things to do for the family. Plenty!! It you want that small town feel just minutes to Boston. You have it. Shopping? Within minutes! Public tran? Yep, close by! This is the place to be. Medfield or the surrounding towns. If you would like to live here, please give me a call. I have lived here since the 80's and would love to be your guide! Okay - this is unbelievable...You were out kayaking in New England in December! I'm so jealous! Really, being out on the river (or hiking in the woods or taking a walk in a park) are great places to do some deep thinking. Those are the times that we slow our pace and focus on the physical action at hand while our mind can formulate ideas and plans. We all need a that peaceful place to go to and who knew it could literally be in our backyards! Medfield, Millis, Medway....just awesome communities to live in. Hi Nancy. Thanks for reading and sharing. It is amazing how you can get into the grove, clear your thoughts and formulate new ones. Medfield, Millis, Medway areas are great places to live. We are lucky for many reasons. Lucky to have Trustees of the Reservation too that provide some perfect opportunities for us to enjoy nature and find that inner peace. Thank you!